Go O’s! Open day 2013 at Camden Yards and if the sports gods are with us the weather will hold out. Another winning season is extremely promising. 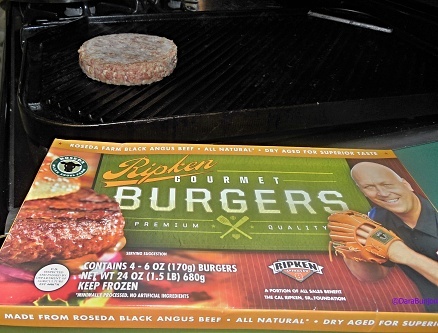 It seems apropos to talk about a new culinary find, Ripken Gourmet Burgers, and yes the reference is to the Baltimore Oriole’s ‘Iron Man’ Cal Ripken whose name and punim (face) are on the product packaging. We all know that Cal Ripken is a man of integrity so you know this has to be a product of quality.